$875.00 (Includes all Materials) . Good joinery is key to making fine furniture that will last for generations. Many of us are intimidated by the complexity of these joints. In this class we hope to de-mystify and simplify the joinery process. 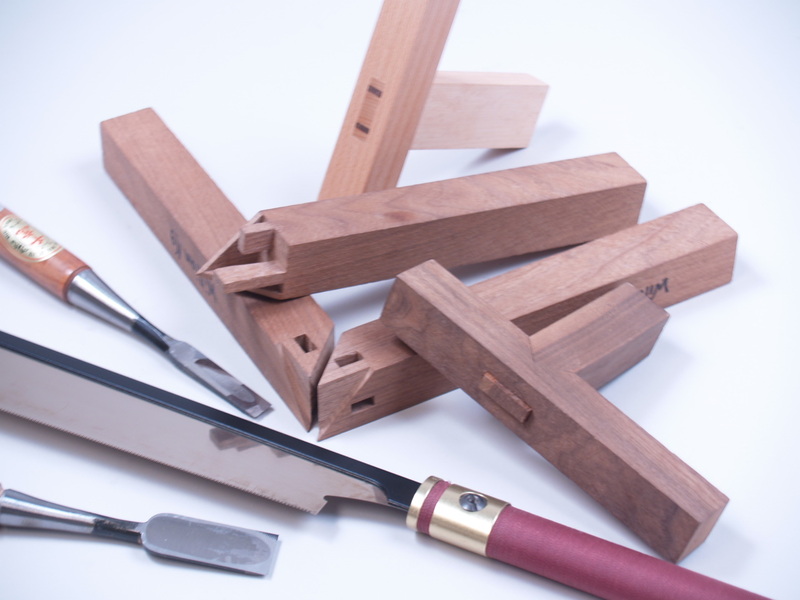 We will learn western and eastern joinery and their applications, including dovetails, half-blind dovetails, sliding dovetails, mortise-and-tenons, angled mortise-and-tenons, lap joints, bridle joints, miter joints, scarf joints, splice joints, mitered mortise-and-tenons, bird’s-beak and the Chinese three way mitered joint. You will be guided step-by-step through the layout, marking, and the cutting process using hand and power tools. This class is a must for those who want to take their woodworking to the next level.